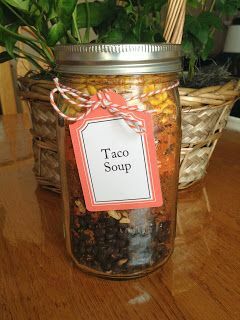 This Meal in a Jar Taco Soup recipe is an easy pleaser! There’s just something about taco soup that is so comforting, especially on a cold winter evening. And whether you use this as part of your food storage, a Christmas gift, or just want to keep some on your shelf for crazy night dinner emergencies, these meals in a jar can be a lifesaver! Meal in a Jar Taco Soup goes from jar to dinner plate in 30 minutes, and the hardest part is pretty much just getting the lid off the darn jar! 🙂 Place contents of jar in a stock pot, add water, bring to a boil and then simmer for 30 minutes and dinner is ready to go! You can eat as-is, or add in fresh ingredients you have on hand (tortilla chips, shredded cheese, sour cream, cilantro, salsa, etc.). This meal goes great with my Best Ever Cornbread Mix! 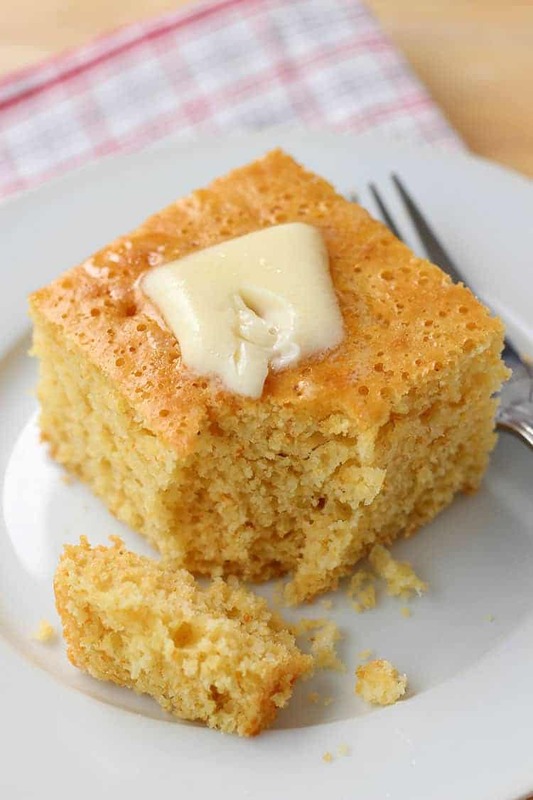 For an even faster meal, use the Just Add Water version of the Make-Ahead Best Ever Cornbread Mix recipe – it will be done even before the soup is ready! For the black beans, these NEED to be special “fast cooking” or “dehydrated” black beans – NOT just dry black beans from the normal store. These are beans that have been partially cooked and then dehydrated. They require no pre-soaking and cook in 20 minutes or less. This is what allows the meal to be a “dump and go” dinner – just pour the contents of the jar into a stock pot, add water, and cook. No pre-soaking of beans needed. I used taco-flavored TVP in mine, because I got a great deal on a bunch of #10 cans of the stuff. It was all fine and dandy until I developed a pretty severe soy allergy, which meant I could no longer eat TVP. So, the other option is to use freeze-dried beef crumbles in place of the TVP and just up the amount of taco seasoning. But it is quite a bit more expensive (freeze-dried meat is very pricey). You can substitute dehydrated bell peppers for the freeze-dried ones, however, you will want to use freeze-dried corn (dehydrated corn won’t soften very good and you’ll be stuck with really hard kernels of corn in your soup). Honeyville Quick Cook Black Beans – Honeyville has great stuff, AND they have 4.99 flat rate shipping!! 8.25oz McCormick Minced Onions – I cook with dry onions all the time, so these are always good to have around. You can get larger bottles at Sam’s Club or Costco, or large #10 cans at an LDS Home Storage Center if you have one near you. #10 can Augason Farms Dehydrated Bell Peppers – these are the ones I used in my jars. Dehydrated can take a little longer to soften, but since the soup simmers for 30 minutes, it wasn’t a problem. Plus, the dehydrated ones are often cheaper than freeze-dried. But either will work. I don’t generally use the oxygen packets with my meals in a jar, because I have a wide-mouth vacuum sealer jar attachment for my FoodSaver. But if you don’t have one of those, or just want a little extra insurance, you can order oxygen packets online, from Honeyville, or from Amazon (affiliate link) or other retailers. Yummy comfort food for cold winter evenings! Place beans, TVP, onions, peppers and corn into clean quart-sized mason jar. Shake to settle contents. Add tomato powder and taco seasoning on top, then shake to settle the powdered ingredients down into the jar, filling in the empty spaces between the larger ingredients. Remove vacuum attachment and put ring on. Tighten by hand, but don't over tighten. Label and date. Store in cool, dry location. Gently pry lid off of jar and discard. Remove oxygen packet (if used). Empty contents of jar into large stock pot or dutch oven. Add 8 cups of water and bring to a boil over medium-high heat. Reduce heat and simmer for 30 minutes until vegetables are tender. Serve with tortilla chips, shredded cheese, sour cream, salsa, avocado or other garnishes as desired.